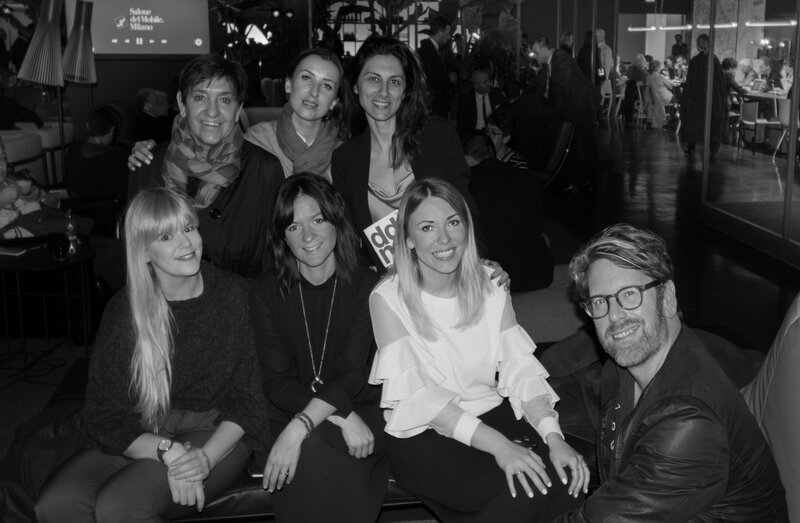 One of the highlights of each Milan Design Week is the blogger tour organized by DDN, Design Diffusion at the fairgrounds of Salone del Mobile. The idea behind the ‚Blog Safari’ is to show international bloggers (us) the best of Italian design, top trends and new collections. The tour is very exclusive giving us the opportunity to speak directly to designers, learn about the process behind new objects and concepts, so as you can imagine it’s a lof of walking, chatting, snapping and getting inspired along the way! That’s what bloggers enjoy the most when it comes to visiting fairs, right? It was my third Blog Safari and I have to say I very much enjoy it each year, even though it’s always a little bit different. 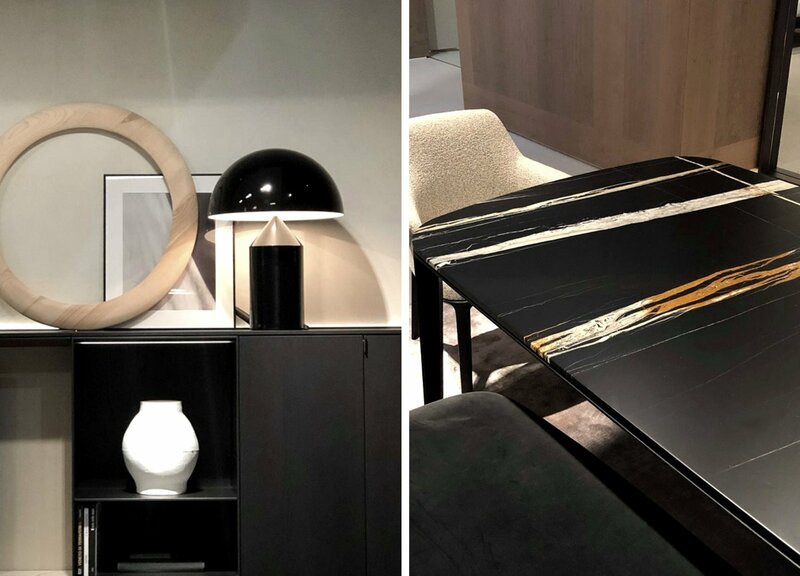 We visited the most iconic ‚Made in Italy’ brands including: Poliform, Flou, Boffi and DePadova, Nardi Outdoor and Kartell. 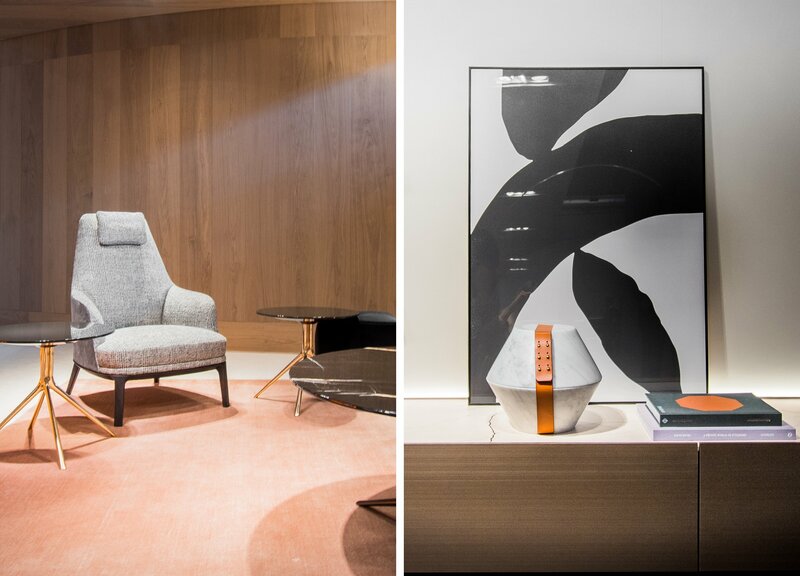 The new products we got a chance to see this year were some of the ‚it’ pieces most talked about in the design news. 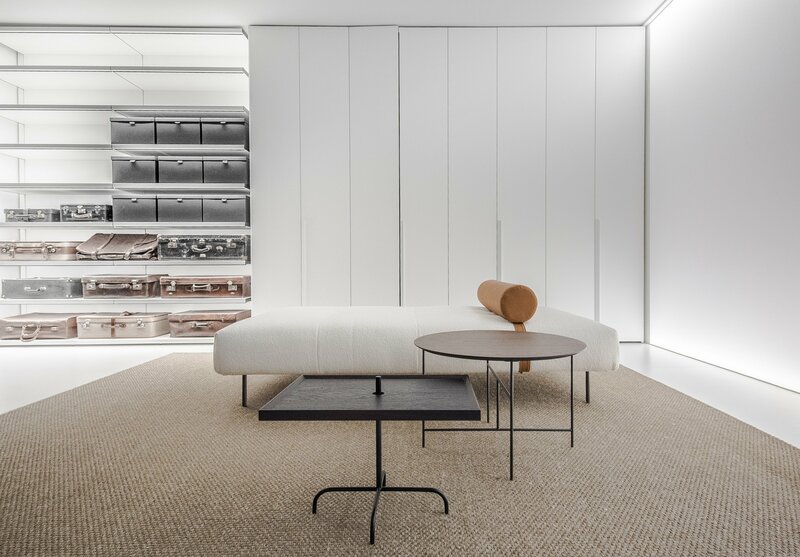 A great mix of conceptual ideas, gorgeously styled showrooms distinctive for each brand, new technologies and presentation not only of the furniture but also the way of living. Now I’m sure you would love to know what are the top 5 trends spotted at the Italian, iconinc brands? I can’t wait to show you! So let’s jump right into it! 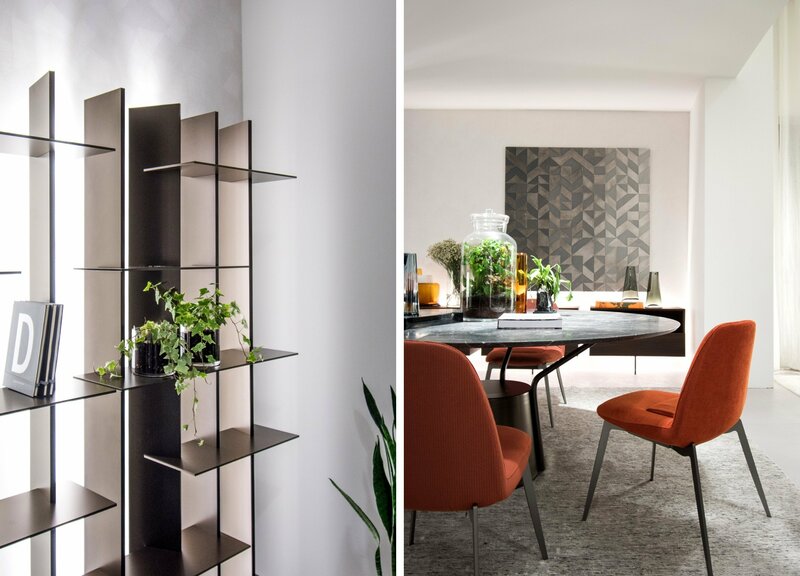 Rounded shapes spotted at Poliform showroom seem to be the hot trend of 2019. They create a sense of completeness which softens and relaxes a room as you can see in the photos below. 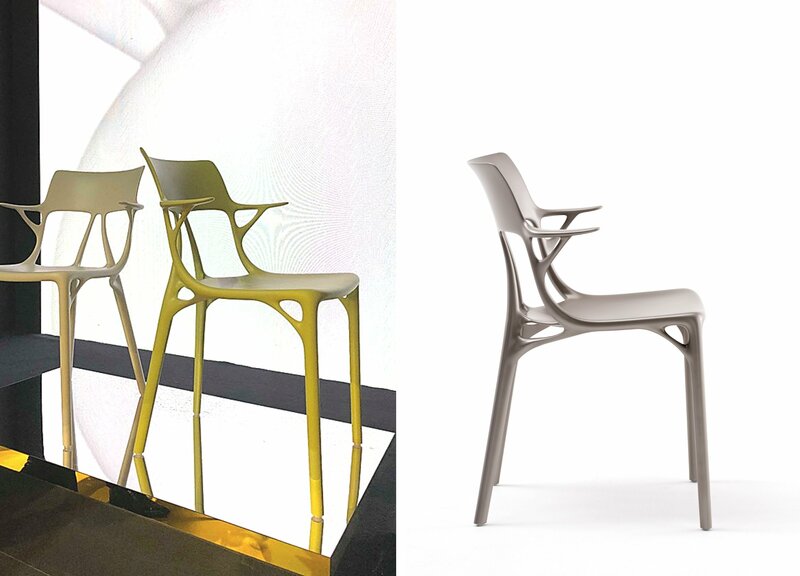 Two designs that stood out for me where new armchair and table designed by Emmanuele Gallina, rounded angles resulting in soothing effect. Flou was bright this year – both in terms of color and lighting. A white space with a splash of rich pumpkin orange (basic color of Flou collection 2019) surely makes a ‘mouth watering’ impact on interior design. It is my personal favourite color from this year’s Milan Design Week, can’t get enough! I also liked the brighteness of Leonardo system, fitted with led lights, all together it created a very fresh and inviting atmosphere. 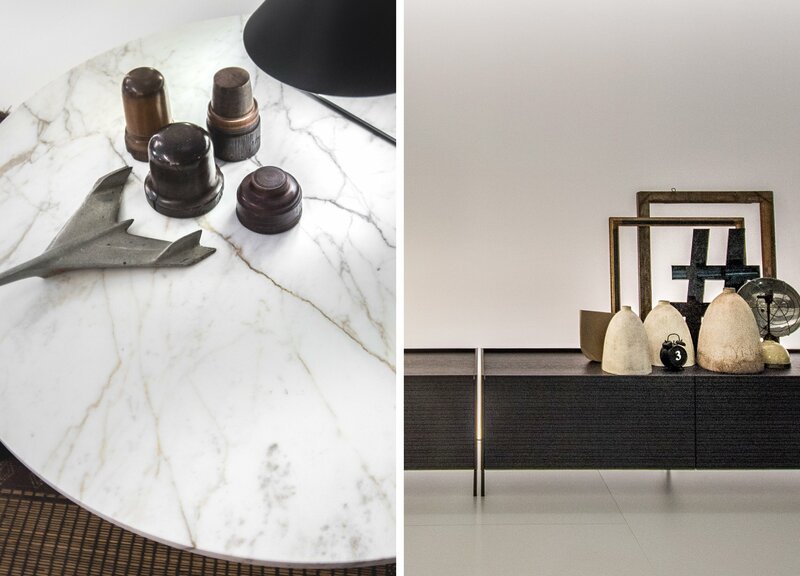 Earth, water and fire, all elements of primordiality, purity and energy were emphesised at Boffi and DePadova stylish booth. As you know I’m a long-time fan of their minimal, sylish designs. 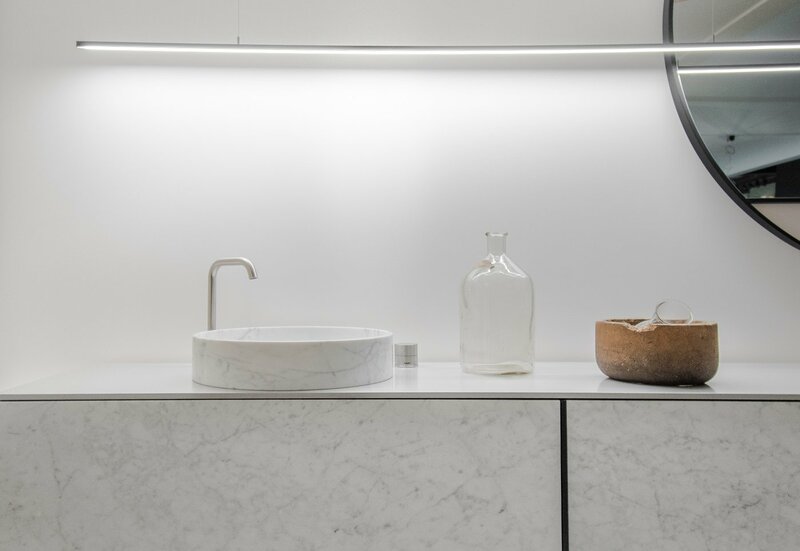 It’s the mix of high-tech and handcrafted process, natural materials, the elaboration of finishes, the perfection in every detail that attracts me year after year. 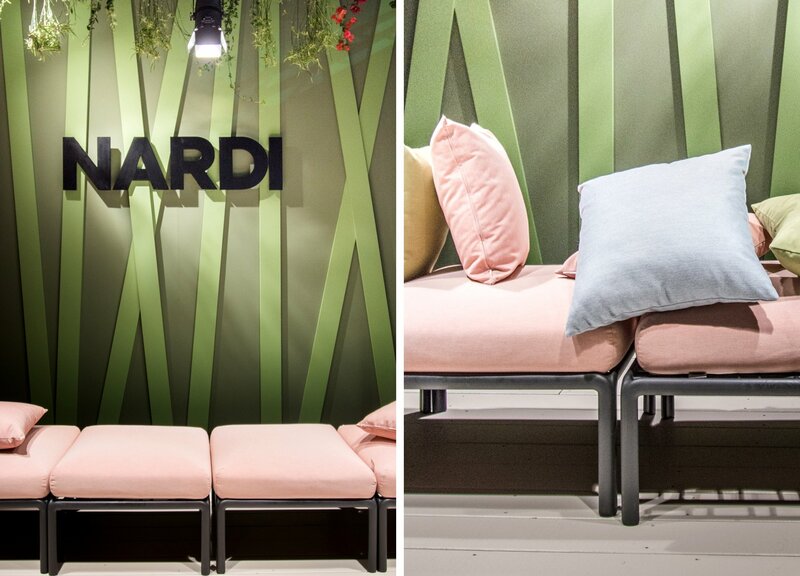 Following the modularity trend, Nardi Outdoor came up with Komodo sofa – an outdoor seating with a fiber resin frame on which padded cushions and backs can be attached in many different combinations, depending on your needs and occasion. As a bonus sofa comes in perfect summer shades to add a bit of color to your outdoors in the upcoming garden parties season! Kartell certainly does not need an introduction, what’s new this year is that Kartell’s interactions with machinery have reached new level. Meet the first design object conceived by artificial intelligence, born in response to input received from the designer (Philippe Starck) and from the company (Kartell). A new chair model was created in Autodesk programme, using an algorithm that respects the original brief – a comfortable seat that has the structural strength and aesthetics representing simplicity and clean lines. What do you think? High-tech and AI are certainly the future and what designers focus on right now. This year we were asked to vote for our favourite product and favourite stand. It wasn’t an easy choice as I found inspiring concepts and design at each stand, but the choice had to be made. So my winner is…. I loved the sculptural, soft look and minimal aesthetics. Would you agree? One of the great things about Blog Safari is hanging out with my fantastic blogger friends. If you get a chance you should stop by and read their posts to see you will see how different (or similar) our point of views are. Thank you for another great Blog Safari! *this blog has been written in collaboration with DDN, all expressed opinions are my own.